Rocanville born female hockey star Jessica Campbell has announced her retirement from international competition with Canada’s National Women’s Team. Campbell, 25, made her debut with Canada’s National Women’s Program in 2008 and won a gold medal with Canada’s National Women’s Team at the 2014 4 Nations Cup in Kamloops, B.C. As captain, she scored the game-winning goal in overtime to give Canada’s National Women’s Under-18 Team its first-ever gold medal at the 2010 IIHF World Women’s U18 Championship, where she was named Most Valuable Player by the IIHF Directorate. She also earned a silver medal at U18 women’s worlds in 2009, and finished her U18 career tied with Marie-Philip Poulin for the all-time program scoring lead with 33 points (14 goals, 19 assists). 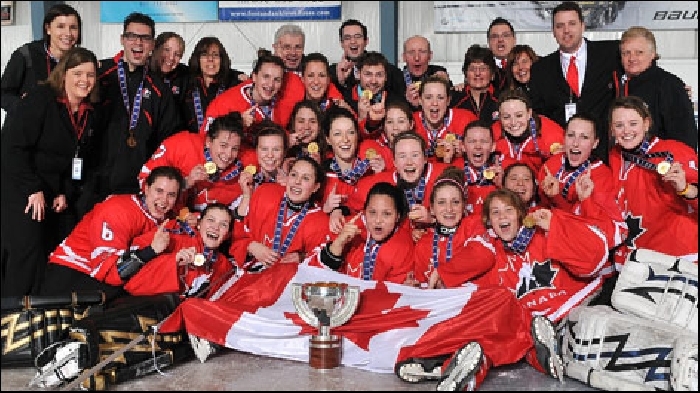 The Rocanvillle native was a two-time silver medallist at the 4 Nations Cup (2015, 2016) and twice won gold with Canada’s National Women’s Development Team at the Nations Cup (2011, 2013). “My entire journey to Team Canada, has been a dream come true. I remember looking up to my hero Cassie Campbell at the age of five, dreaming of becoming the next ‘Campbell‘ to wear the Maple Leaf, and deciding to set my mind to it. Through all the hard work, endless sacrifice, sweat and tears, I’ve come to realize that no matter what path we take in hockey or life, what we set out to do, or how many medals we win, it’s important to leave those you meet, better than you found them,” said Campbell. Campbell has accepted the position of lead power-skating instructor and assistant coach of the Midget Female Prep team at the Pursuit of Excellence Hockey Academy in Kelowna, B.C.